After taking a break from blogging about beauty products all the time, I’m slowly finding my way back. 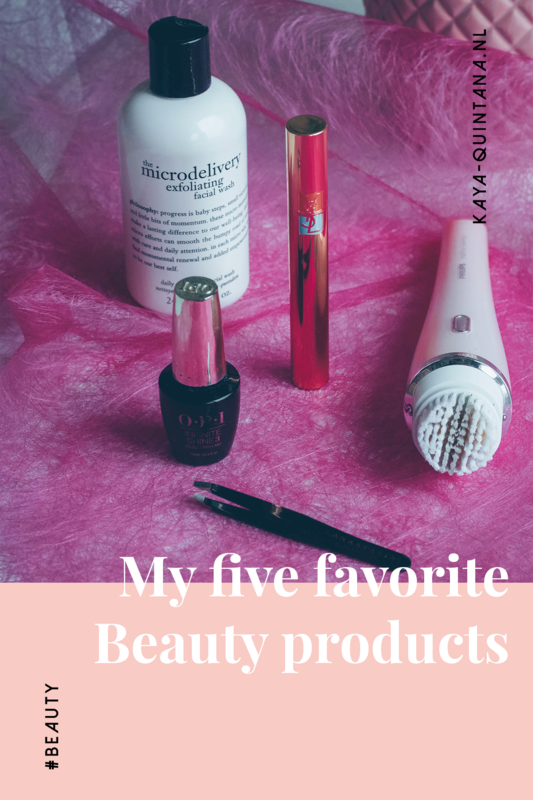 Although there are so many good products to choose from and more coming out every day, I have five beauty products I can’t live without. Some have been my favorites for years, some came into my collection more recently. They all have one thing in common: They really work for me and that’s why I want to share these holy grails with you. 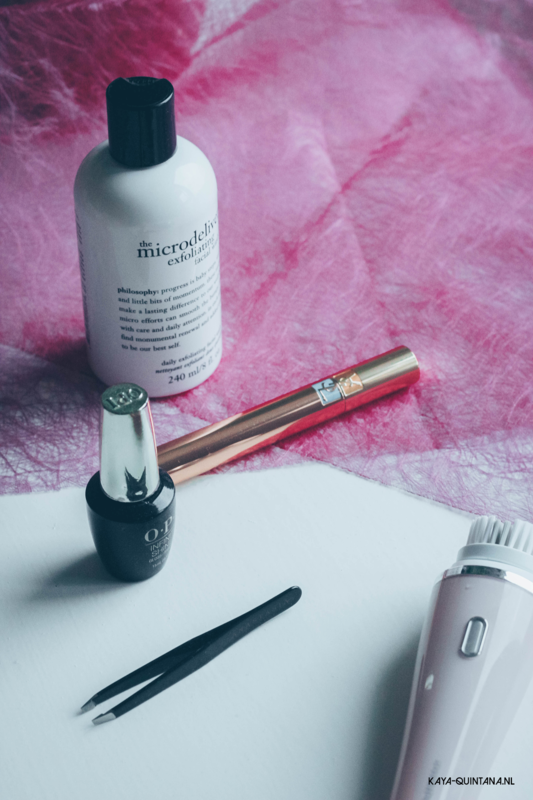 So without further ado, here are the beauty products I can’t live without! It’s one of the most expensive beauty tools I’ve ever bought, but it’s still going strong after buying it in September 2015. 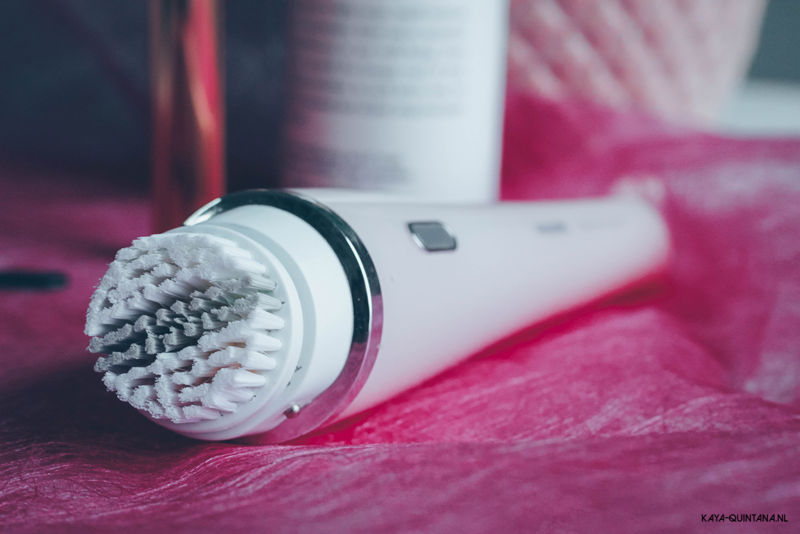 Yes, the VisaPure by Philips has truly been one of my favorite beauty products for years. I bought this face brush to help me clean my pores and get rid of dead skin cells. I thought this brush would be able to help me clean up my skin after having an eczema flare up. Eczema often ends up giving me flaky, dry and dull skin. The VisaPure brush does help me fix that by using it once a week or every other week. Sometimes I forget, and I really notice the difference when I do. The face brush seems to stimulate my pores and therefor helps to get rid of all the dirt. I like using the brush with a scrub to really, really get in there. It’s like I’m polishing my skin, haha! But it helps me keep my face clear of pimples, flaky skin and clogged pores. This face brush isn’t going anywhere! I don’t know why the name is so long, because it’s just an amazing face scrub and that’s what it should be called. That’s all you need to know. Just kidding, this face scrub truly is the best scrub I’ve ever used on my face. It’s the only face scrub that actually has enough little particles in it to really scrub out all the pores you have. I love using it under the shower, but I prefer to use it with my VisaPure brush for the best results. These two are a power couple in my opinion. I like using this face scrub on my neck as well. I have a lot of discoloration in my neck and I work out a lot so dirt builds up. It just feels great to use this scrub for my neck too. It makes me feel a lot cleaner and I have to say it makes the skin of my neck look a lot better. I guess a lot of people forget their necks, but they are in view all the time. I usually use this face scrub with the VisaPure brush under the shower and I start with my face, going all the way down to my collarbones. 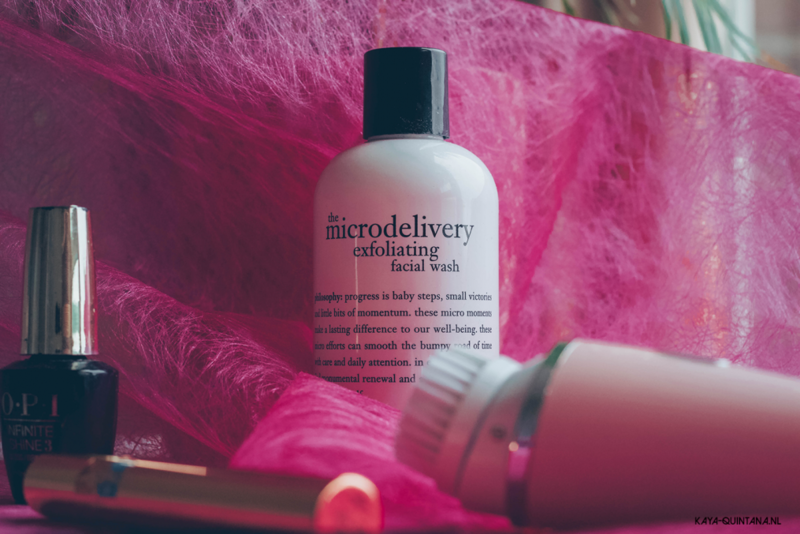 This scrub works like a charm and my skin clears up, just like that! This mascara is crazy expensive and it doesn’t even last me three months, but it’s so good! I discovered this mascara when I worked at Sephora. I think I once received one as a gift and I’ve been hooked ever since. This mascara is perfect for my straight and short lashes. I always use the waterproof version after curling my lashes first. This mascara helps me keep my lashes curled all day. But the best part is that it’s actually black, smudge proof and long lasting. The Faux Cils mascara is also one of the few mascaras that’s actually able to lengthen my short lashes. When I wear this mascara I actually have lashes, yay! The brush is also able to grab the shortest and most stubborn lashes I may have. Since my lashes are very thin and short, it’s really hard to brush them with the thicker mascara brushes. The Faux Cils brush is quite thin but thick enough to add some volume. No wonder I like it so much, it’s the perfect fit for my lashes. You know I’ve been a nail polish lover for a long time, if you’ve been reading my blog since the beginning. I would buy every OPI nail polish I could get my hands on, it was crazy. My love for OPI began when my aunt bought me my first mini set. I was in love and I felt so grown up as a teenager for having such professional nail polish. Yep, I was completely taken with this brand and I still am. My favorite product is their Infinite shine 3 top coat, it’s just the best! I use it over every polish I have, it doesn’t matter what brand. This top coat just locks it all in and keeps my polish good for at least five days. The shine is amazing and one coat is enough to last all (work) week. 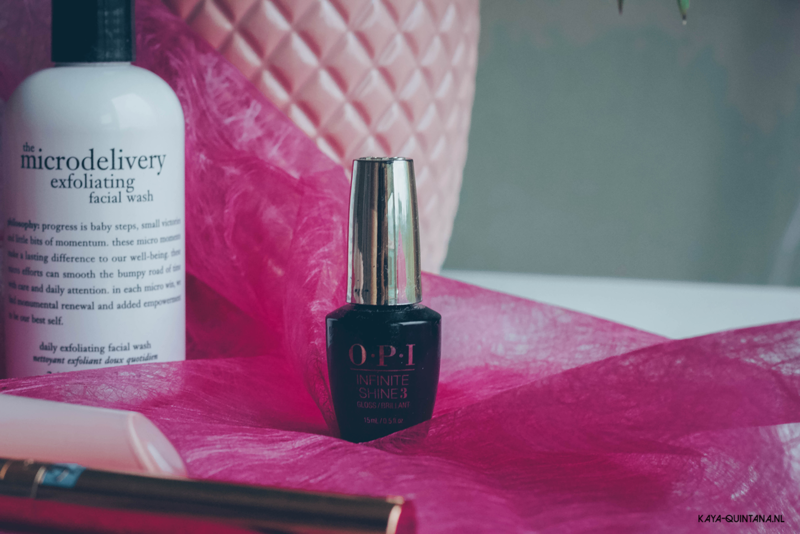 I do like using it over the original OPI Infinite nail polishes the most, since that’s just the best combo. I like OPI nail polishes anyway, that’s why it’s often my go to choice for nail color. Yes, this top coat is expensive but in my opinion totally worth it, if you’re into nail polish like me. I’ve been using it for years and I will continue to buy more bottles when I run out. If there’s something I’m really proud of, it’s my prefect brows. It took me a few years to get them to where they are now, but man… They’re everything I’ve ever wanted. I’ve found my perfect shape and I created it myself by waxing at home. But I can’t keep my brows as sharp as I want without my Precision tweezers by Anastasia. I bought my first pair about three years ago, but somehow I lost it! Needless to say, I was super sad about it. I’m now on my second pair of Precision tweezers and they’re just the best. I’ve had Tweezerman tweezers, drugstore tweezers and many brandless tweezers. None of them work as well as the Anastasia tweezers in my opinion. These tweezers have the perfect angle, just enough grip and they look really sleek. I used to have a pink pair of tweezers, but now I have a black one. I liked the pink ones better because the color stood out in my make-up drawer. But it’s the same product and I’m very happy I invested in these tweezers. These are five beauty products I can’t live without. 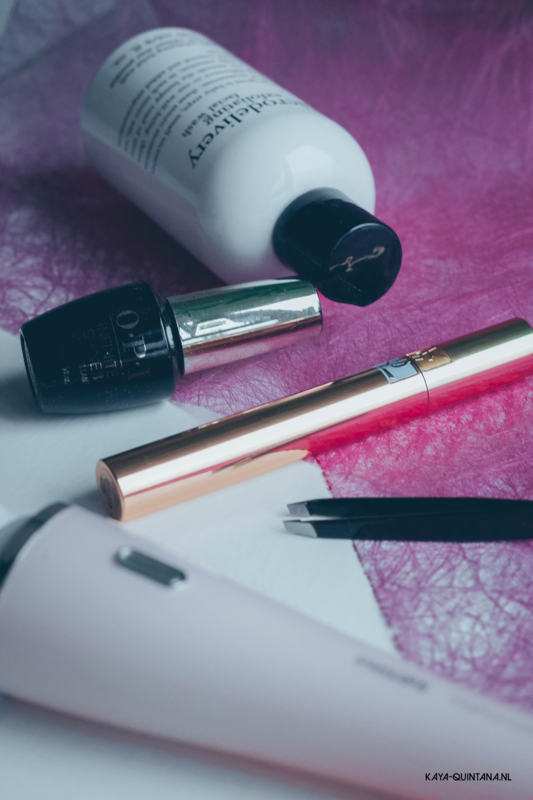 I hope my list gave you an idea of what to invest in for your own beauty kit. Maybe you can give one of these items as a gift during the holidays. All of the items are very good when it comes to the quality and you’ll be able to use them for a very long time. 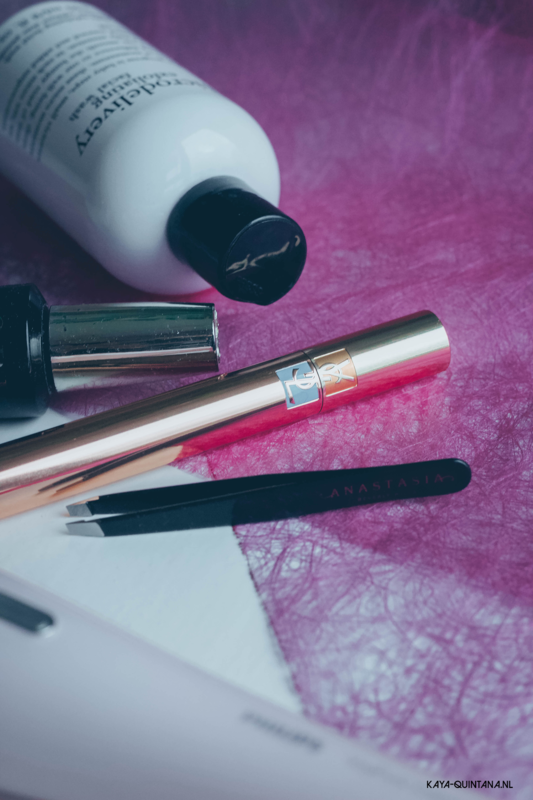 I do have more beauty products I truly love, but these are the ones I don’t want to give up. Keep an eye out for my next beauty article and let me know which products are important to you. P.S. Follow me on Bloglovin for more beauty tips and reviews.